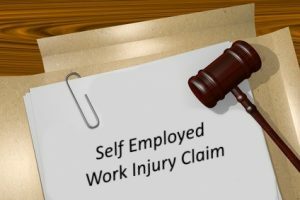 Self Employed Work Accident Guide – Can I Claim Compensation For An Accident At Work When Self Employed? – Who Can Claim? – How To Claim? What Is A Self Employed Accident At Work Claim? How Much Can Self Employed People Claim For Accidents At Work? How Do We Calculate Compensation For Self Employed Workplace Accident Claims? What Could The Long Term Effects Of Workplace Injuries To Self Employed People Be? What Is The Difference Between An Employee, A Worker And Being Self Employed? Can Self Employed Workers Be Claimed Against If They Cause Accidents In The Workplace? What Can Self Employed People Claim For Accidents At Work? How Long Do Self Employed Workplace Accident Claims Take? There are many accidents that can occur in the workplace. Many people do not pursue claims because they are not aware that the injury they are suffering is due to a workplace injury. Repetitive strain injury (RSI) is an example of an injury that a lot of people do not realise they can claim for. This is when you get pain in your muscles, nerves or tendon because of a repetitive action. This tends to be common for individuals who sit at their desk every day working on the computer. If a medical professional diagnoses you with this injury you may be able to claim. Let’s take a look at some other examples of workplace accidents that can lead to personal injury claims. So, what do you do if you have suffered from a workplace accident and want to explore your options further? Get in touch with Advice.co.uk. We are one of the leading firms in the UK and have a legal helpline available. You can call this number at any time that is suitable for you. But first, here is more information provided for you to find out everything you need to know if you have had an accident at work when self employed. In this guide, we will reveal everything you need to know when it comes to self employed worker rights. We will answer key questions. This includes: Do self employed have any rights? Does employment law apply to self employed? Do you have to work a week in hand if self employed? Can I be self employed and still work for an employer? If you have any further queries by the time you get to the end of this guide, please do not hesitate to get in touch. Sadly, there are thousands of people situated all over the United Kingdom who are, or would have been, entitled to compensation yet have never claimed for it. One of the main reasons for this is because individuals simply did not know they had a case to begin with. This is especially the case when it comes to self employed people. The term ‘personal injury’ is extremely generic. If you ask a bunch of people what this phrase means, you can rest assured you will get a wealth of different answers. In fact, a lot of people simply assume it relates to slips and trips because this is what the majority of personal injury cases is advertised on television tend to show. However, it encompasses a lot more than that. What can constitute as a personal injury? Was the injury my fault? Did the injury occur within the past three years? This is what you will generally be asked to prove when you are making a personal injury claim. Three years is typically the personal injury claims time limit, but there are some exceptions, which we will discuss later in this guide, so do keep this in mind. Before delving into numbers, it is imperative to state that each and every case is different. If you want exact figures you should ring Advice.co.uk on our free legal helpline. One of our advisors will give you the information you are looking for. Nonetheless, below, we have compiled the payout figures for some of the most common injuries sustained in the workplace. This should give you a good understanding. It is more accurate than using a personal injury claims calculator, as the figures are produced by the Judicial Court Guidance. What injury have you suffered? The amount calculated for the actual injury and your suffering because of it. As mentioned earlier in this guide, there are so many different accidents and injuries that can happen in the workplace if you are self employed but working for an employer. When we refer to long-term effects, this does not merely refer to the physical injuries. Of course, some people sustain injuries that impact them in terms of mobility and pain for the rest of their life. However, there are also psychological injuries, which are taken into account too. Not only this, but some people are left unable to work again because of what has happened to them. Over the past ten years, the injury rate for employees to self-employed is roughly 2:1. However, the self-employed workforce is growing at a rapid pace, and so it is likely that we will see injuries increase considerably. As per the Health and Safety at Work Act 1974, it is the duty of your employer to provide a safe and healthy working environment. If you work for someone on a self-employed basis, for example, you are self employed but working for one company, you should still expect to be in an environment that is deemed safe and healthy. Nevertheless, you also have a duty to assess the risks and to only work if you believe it is safe to do so. This is why it is wise to have an understanding of the work environment overall. However, if you have been injured because an employer has not upheld their duty of care, you can make a claim. If you cause the accident that has happened, you will not be able to make a claim. However, if you were partially to blame, then you can claim, although the amount of money you receive will likely be lower to reflect your involvement. If you are responsible for an accident due to negligence and a person is injured, it is possible for a claim to be brought. There is no denying that slips, trips, and falls are some of the most common types of accidents sustained. You will be able to claim if the reason for your slip, trip or fall is because the work environment was made unsafe by a third party. From faulty equipment to wet surfaces, there are many different reasons why this could be the case. Another type of claim that we have a lot of experience in is road traffic accident claims. There are many different reasons why you could be making such a claim, for example, perhaps the third party driver was negligent. Despite the fact that you are employed on a self-employed basis, you could still make a claim. Cases such as workplace accidents can take all different lengths of times as all cases are different. As mentioned earlier, when making a claim, one of the most important things you need to do is claim quickly because there is a time limit in place. You can find more information about these limits in the table below. It is imperative to receive medical attention this will help in the long run to achieve a successful claim. This is true for all cases, no matter how minor your injuries may seem. Many people tend to only go to the hospital if it is an emergency, and so they simply get on with it if the injury isn’t significant. Yet, it will be difficult to make a personal injury claim if there is no record of you seeking medical attention. If you have experienced an accident in the workplace one of the most important things you need to make sure you do is report it in the correct manner. This is imperative to ensure the outcome of your case is a success. Moreover, it ensures that everything runs smoothly with your employer, whom you will be claiming against. If you do not approach things by the correct channels you will undoubtedly experience issues further down the line. Consequently, if you have been involved in a workplace accident it is imperative to ensure you report it to your manager or safety representative so that they can record it in the accident book. Moreover, if you fail to do this, you will then struggle when it comes to making a claim. The benefits of using a No Win, No Fee solicitor are widespread. Firstly, financial risk is eliminated. After all, you don’t pay a penny if your case does not win. You also don’t need any cash to begin your claim. Moreover, you are guaranteed to benefit from a top rate service if you go down this route. Unfortunately, there is a time limit when it comes to personal injury cases. Generally, you have three years to make a claim, but as explained, this can differ. Not only will you receive compensation for your injury, but also any damages and money losses you experienced as a result. For example, you may have experienced a loss of income because of your injuries. Thus, it is vital to keep track of this. Immediately after an incident has occurred it can be very difficult to think clearly, as shock has kicked in. However, if there are witnesses, this will help your case dramatically by acquiring their details. When you work with an Advice.co.uk provided personal injury lawyer, you can be confident of a No WIn, No Fee service. What does this mean? There are many firms in the UK, so you may be wondering why we are the right option for you. There are a number of different reasons why this is the case. Not only are we experienced, but we make the claims process as easy as possible. You can see this via the simple three-step procedure we have in place. We are also delighted to have a great reputation too. All you need to do is read reviews that have been left by past clients to see that this is the case. If you are ready to make a claim, or you have any further questions, please do not hesitate to give us a call on 0161 696 9685. We will start the claims process for you, or we can simply answer your queries if you have any questions relating to self employed accident at work claims. Our helpline is open seven days a week, from 9 am until 9 pm, so please call at any time that is convenient for you. Alternatively, you can enter your details on our website and we will call you back at the earliest opportunity. GOV – Self-employed – What the government says about being self-employed. RSI – NHS – More about RSI.